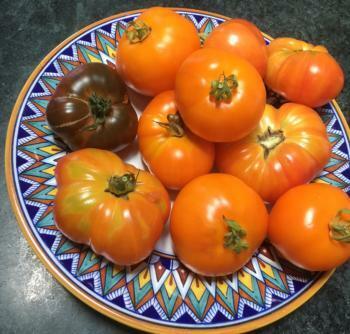 The Marin Master Gardeners Tomato Market is scheduled for Saturday, April 27, 2019, at Bon Air Center in Greenbrae and at Pini Hardware in Novato. This market date is three weeks later than tomato plant sales held in previous years. The later date will allow tomato growers the opportunity to plant their tomato plants immediately eliminating the need to harden off the plants. Planting when the weather is warmer will yield strong, healthy, and productive plants. See below for the list of tomato varieties that will be available! April 27, 2019, from 9:00 a.m. until sold out!